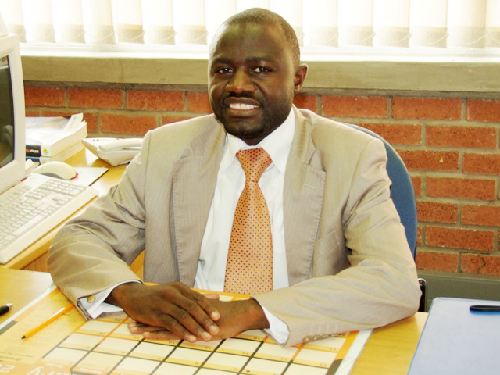 Valuable progress has been made over the years to build and ensure a foundation for higher levels of advancement and most importantly programme sustenance for entrepreneurs in Namibia, says Dr Michael Humavindu, manager of research at the Development Bank of Namibia. Major strides has also been experienced in the improvement of the funds arena. “A lot of experience, both positive and negative occurred although efforts were noble in terms of enhancing access to finance,” Humavindu added. Thomas Iindji, chairperson of Namibia Chamber of Commerce and Industry’s (NCCI) northern region branch, agrees with Humavindu and said that access to information regarding funds has improved significantly as opposed to the earlier days before independence. “People were denied the benefits and important financial services. In recent years, customers are now able to acquire different types of solutions in terms of financing,” Iindji added. Progress is evident through initiatives such as the Small Business Credit Guarantee Trust, the establishment of the small and medium enterprises portfolio at DBN as well as the partnership between the DBN and commercial banks. Agribank and NHE also played major roles in enhancing access to finance in the agricultural and housing sectors respectively. 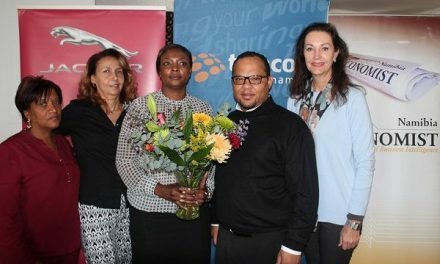 The introduction of Nampost’s Smartswitch card led, as the recent Finscope study shows, to major strides being made in improving access to finance to the larger population due to Nampost’s presence across the country, according to Humavindu. Complimentary, the NCCI’s northern branch also places exclusive emphasis not only on the advocacy of the business community’s interests as well as on the needs of the poor in our society, Iindji said. Meanwhile, under rated sectors have also evolved over the years. “We have noticed improvements in the tourism and manufacturing sectors in particular, although at a slow rate. Previously Disadvantaged Namibians are also still under represented in the sectors,” Humavindu said. Humavindu further added that there is also entry of entrepreneurs in the construction and business services sectors, although a significant number have been driven by the tender procurement system. For Iindji, the area of entrepreneurship that has significantly improved over the years is property development and construction. “Previously, this sector was only handled by few individuals and black entrepreneurship was not very active in the industry in terms of direct benefit but only benefit as employee. “Transportation sectors improved although there were some players from the previous disadvantage, the sectors has accumulated a lot of participants after independence,” Iindji stressed. But despite major strides and improvement, entrepreneurs are still faced with great challenges. Some of the challenges entrepreneurs and businesses are faced with include access to finance, which is still an impediment because it relates to proper financing instruments for the various aspects of a sector’s value chain. “In addition, a lack of appropriate skills hinders a lot of the business environment’s potential. Further, a lack of start-up capital in the form of risk capital hinders a lot of viable ideas from blossoming into fully fledged operational projects,” says Humavindu. Another major challenge entrepreneurs are faced with is the buying power. “This buying power has been affected by duplication as entrepreneurs are not willing to be innovative and thus only tend to do copy and paste business. The other challenge is productivity; most businesses are not product-oriented as they are only doing buying and selling rather than manufacturing,” Iindji added. To address the challenges, Himavindu suggests that the new approach in the draft Industrial Plan focuses on certain sectors and aims to enhance the local business environment. Increased competitiveness in the economy is welcome, he said.